The Writer’s League of Texas has a superior Agents & Editors Conference each year here in Austin. I’ve attended, volunteered, been on faculty, pitched, and exhibited there over the last 10 years. Some writers attend to meet with agents in consulting appointments of 10 minutes. Others submit manuscript samples and synopses in an annual contest. Others just come to learn how the publishing business works and understand their genres better. But there are probably fewer than 100 writers each year who come to meet with publishers’ editors. This year only three editors are taking consulting meetings, but does a limited number of writers make sense? Wouldn’t you rather talk to an editor, instead of an agent, about your book? You’d think a 10-minute meeting with someone who buys books, instead of an agent who represents and sells them to publishers, would be the smart way to go. There are good reasons why it’s not so simple. The WLT explains them well. Our answer: Editors can and do acquire books — but it’s very rarely that they acquire a book (or request materials) from a writer directly; an agent is almost certainly involved in this process. Regardless, editors can offer valuable insight into agents who represent your type of work, should you need suggestions. What’s more, editors can offer valuable information on how to shape your story for not only agents and publishers, but for readers. They are also often experts on specific genres or categories and can share great advice that’s specific to what you’re writing. For all of these reasons, and more, we invite editors to the conference and we make one-on-one consultations with them available. BUT (very important) you should not select a meeting with an editor if your sole goal is having someone request materials or tell you they’d like to consider your work for publication. This is not a realistic goal for a meeting with an editor and you will likely be disappointed. We’re cautioning you here so that you don’t regret it later. The League’s staff invites the curious author to call and learn more. Good show. Indeed, these editors don’t arrive to buy books. Everyone needs to see a book proposal these days, it seems. Even fiction authors get deals more easily with one. But an editor does a service to a conference attendee who meets with them. They tell them what they think of the book and the idea. It’s pretty much what an agent does at the conference. You pitch. They listen. They tell you what they think. In some cases the agent asks for a sample of the book. Editor’s requests for a sample are not unheard of at the conference, though. One Workshop writer from my memoirs/nonfiction group said he got a request from a Big Five imprint for his full book after a meeting. Dave’s a worker and following through, but the important thing is that editors want unique, good books as badly as the agents who represent the authors writing those books. Time with an editor is almost always time well spent if you learn something and the book evolves. Am I ready to agent it up? Ron Seybold	agents, conference	conference, pitch, synopsis	Comments Off on Am I ready to agent it up? One of my writers from our Manuscript Brunch workshop has a sparkling, vast fantasy novel. He’s workshopping it with us, 20 pages a month. It’s complete, in the sense that he has a version of it that’s been revised and it has a cogent ending. But now, with the upcoming WLT Agents Conference less than two weeks away, this novelist wants to know if he should invest the $390 in attending the Friday-Sunday meeting. This is a good conference, especially if your budget is limited and you live in Austin, like we do. Are you ready? One thing you’ll gather from the Writer’s League of Texas Agents Conference is knowledge of how publishing works. I don’t know how much time they’ll give to self-publishing. SelfPub is so mainstream now that major bestseller lists now include SelfPub titles. And major publishers have imprints dedicated to it. Knowing about the process of publishing — that’s something you might be about to learn in a thorough writing group. Here’s the basics on how to handle an agent opportunity. You must have finished your book, truly, if it’s fiction. You write a meaty summary (synopsis). You condense that into the back-cover copy three paragraphs, which becomes the most serious part of your query letter. Finally, you pitch — to an agent in person, if you’ve paid your $400 to attend. If you’re not quite prepared to pitch, it will be worthwhile to find someplace to practice. In our Workshop group, we can pitch to one another. This is a rehearsal kind of thing. No matter how much you dislike giving the sizzle of the story in a conversation, it’s crucial to getting an agent. They need to have the sizzle to get a publishing house to read your book. There’s a “how to pitch” pre-conference meeting that always sells out at the Agents show. 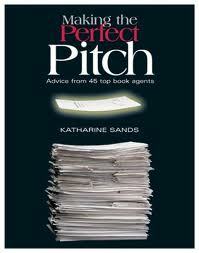 It’s often full of people who have not pitched before. In my opinion, it takes a special kind of writer-performer to make changes to improve their pitch, just 24 hours before they need to start making it. And you begin to pitch your book as soon as you register and walk into the conference hotel. “What’s your book about?” is the icebreaker question. Or even better, “tell me about your book.” Always lead with a character if you can when you answer. As humans, we care the most about people. We create art to make meaning from our lives. The meaning comes from experiencing what people in your story go through, in person, in scene. Lead with people in trouble in your pitch, meeting a crisis that will change their lives every day going forward. 1. A writer who successfully pitched a book idea at a one-on-one agent meeting. How did you prepare? What was the result of the meeting? Did the agent offer to represent you after seeing more materials? Did the agent refer you to another agent or give other helpful advice? 2. A writer who attended a “technical” session on writing (e.g., character development, dialogue, query letters, conflict, etc). What was the session and how did it impact you? How did you apply the information to your own writing? 3. A writer who attended a particularly inspiring keynote address. Who was the speaker? What was the message? How did you apply it to your own writing life? 4. A writer who socialized with other attendees and in doing so joined a writing/critique group, found someone to co-author a book, got inside information on an agent, etc. How did you meet? What was the result of the meeting? 5. A writer who is brand new to publishing and attended a conference with the hopes of learning about the publishing industry. What did you learn? What resources/sessions were most helpful? Did the conference help jumpstart your career? If you’d like to participate, please send an e-mail to literaryagent@fwpubs.com with your name, the name of the conference you attended, when you attended the conference (the more recent, the better), and a short description of your conference experience. If this sounds like Chicken Soup for the Soul kind of material, where you share and then someone else gets the material for their book or article, well, it is. But you might find that recounting your experience — especially for items 2 and 3 — is good for your own writing enlightenment. As for me, here’s the answer to No. 2. I just came back from the Iowa Summer Writing Festival, where Lon Otto took us through five days of Setting, Point of View, Characterization, Dialogue and Structure. Each with a 150-300 word assignment. I told my son Nick it was the best five days of writing training I’ve ever had. How am I applying this? I am now looking for serious flaws to apply to my favorite characters in Viral Times. Not just “he’s rude to bigots.” More like, “he’s a moral coward when threatened with telling the truth about his friends.” Many writers protect the characters who are most like the writer. Then you share your writing, and it turns out the readers could care less about your favorites. They like your villains instead — because they’re seriously flawed. The air was thick with a tiresome tone last Sunday, the final day of the Agents and Editors conference in Austin. Most of the crowd had been pursuing the people on the dais for days. We listened to three editors and 17 agents. One panelist after another, with few exceptions, told stories of what not to do while querying them. A query is opening a business relationship, so there are preferences and protocol to observe. is actively looking for new clients. Beth handles serious psychology, cultural criticism, narrative nonfiction and literary fiction. For non-fiction please include a query letter, CV, proposal, and SASE. If a finished proposal is not ready please supply a synopsis, full outline, and related clips. For fiction please include a query letter, synopsis (with word count), sample chapter and SASE. Why query her? Because she’s been an agent since 1988. Because she specializes in psychological thrillers, among her interests listed in the conference program. Most important, because she’s hired to get your manuscript in the running for a deal with a major publisher, if she or her readers can get through the first five pages of your writing. If it sounds challenging to get a open-minded read from Ms. Vesel, well, that’s the nature of the publishing game at a New York level. You don’t want to think that bright, accomplished people like the agents at that conference would dismiss a work of art in less than 10 pages. The truth is that they do, all the time. 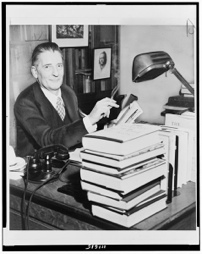 And that’s a fact that Noah Lukeman built a book upon: The First Five Pages. This book’s subtitle is “Staying out of the rejection pile,” and Lukeman begins by saying his book might not be a good use of your time. Most people are against books on writing on principle. So am I. It’s ridiculous to set down rules when it comes to art. Don’t try to contact an editor or agent between 12:30 and 3. They will be lunching with other editors or agents. Don’t contact them before lunch, because they will be settling in for the day. Don’t contact them between 3 and 4, because they will be recovering from lunch and returning calls from those who called during lunch. Don’t call them after 5, as Hollywood is finally waking up about then, and they are also preparing to leave for the day. So — if you absolutely must call — then call at exactly 4:30. Or 3:30 if you live in Texas. I do see another opening there, by calling during lunch. What you can do something about is your writing — and like Lukeman says, that’s a very different subject than publishing. Agents are all about publishing, and whatever they suggest about your writing will always have this motive attached to it: Do this, and it will help me sell your book. That is the outcome a writer wants, after months or years of creative work. Expect requests for change to get a deal done. So it’s better to have your writing done well enough, early enough in your piece of art, to be able to proceed to the “we need these changes” conversation with a professional reader, editor or agent — some of whom revealed sometimes picayune requirements with relish. At this weekend’s Agents and Editors Conference here in Austin, agents broke down the basics of getting a memoir sold to a major publisher these days. You know, the era where the memoir A Million Little Pieces by James Frey turned out to be about a half-million pieces made up, with the remainder remembered. “We’ve beaten the brains out of this genre,” one agent said, which probably sent a shiver through a serious section of the 200-plus writers in the Marriott meeting room Sunday. Lots of memoir-driven books out there among attendees, from my informal conversations. Another agent was frank about a form that big publishers have driven to the point where they’ve glutted the market. It’s not enough to be famous, even, or have lived a good chunk of a very interesting life. “You’ve got to stop my heart with your story,” the agent said. That’s a body shot, as the boxing term goes, to a lot of memoir. There’s always the smaller presses, where the agents don’t like to play. It does not pay well enough for them. The panel of agents — who outnumbered editors 3:1 at the conference — showed a good share of old-school thinking about several topics, and all shared horror stories about submissions and queries. “Don’t stalk my authors,” one agent warned. Hopeful and eager writers had contacted a few of her authors to find out if she was any good as an agent. Okay, there were some gasps from the audience. But what other profession do you know where seeking out a recommendation or a customer reference is referred to as “stalking?” (Even brain surgeons have references a customer can contact. Agenting isn’t brain surgery.) The clock is probably running out on this kind of thinking. That’s a prospect that will stop a few hearts among the agent industry, or at least such elite gatekeeping practices. How valuable is the idea? Tonight over a few brews, after a bike ride, a friend asked me about ideas and writing. I mentioned that I’m heading back to Iowa for the Summer Writing Festival, and described the workshop process up there. Manuscripts get shared among those classes, we comment and mark up the writing, then tell the writer how we felt as readers while consuming the story. Why? For me, it might come from my years in the theatre, creating roles. We worked from the character outward, reading every line we had been given, looking at the relationship between our character and the others in the play. We were hungry for details of description, habits, beliefs, age, blind spots. All the things that make up a memorable, vivid character. We made up what we didn’t read, found motivation and meaning in costume and voice. So I’ve learned to build my creative writing from that foundation. Who is it that reader is seeing and hearing on the page? What does that character want more than anything? Answer those questions for everybody in the story, and you’ll have an idea that flows from character. I’ve never been one to start from plot, the heartland of ideas. Stealing? Sure it goes on, and artists quip that “if you’re going to steal, steal from the best, the masters.” But what they mean is to steal technique, style, or structure; the substructure of story that is almost impossible to duplicate exactly. Start with the same idea, two writers might. By the time they finish, get through rewrites of their own, or from agents and editors, and they won’t have the same book. Forget those copious copyright notices on your manuscripts. Make your characters vivid and original and give them tough problems. That’s where the ideas come from, and the ideas are like water in the sea. It’s the fish that draw our interest. The advice comes from Marcos McPeek Villatoro, who cut a wide swath with his white Panama hat and panache throughout the week I was there. He’s transparent about his personal life, too, as evidenced by his compelling radio essays on NPR. Villatoro is a novelist who advised us all to find those things we love the most about our writing, our darlings, and do them in. Murder can make for good reading, and good writing. Have a look at what survived the axe in this excerpt (about halfway down the page) up on Amazon.